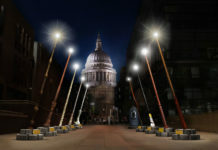 Nine giant Harry Potter wands are now illuminating the walkway between Millennium Bridge and St. Paul’s Cathedral in London in support of J.K. Rowling charity. 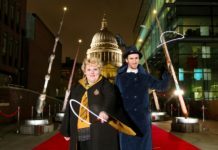 In October nine giant Harry Potter wands will illuminate the walkway between Millennium Bridge and St. Paul’s Cathedral in London. 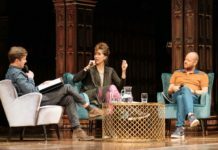 Harry Potter and the Cursed Child have teamed up with leading ticketing platform TodayTix for a new version of 'The Friday Forty'. 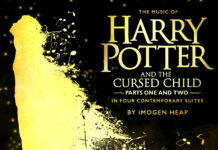 The Music of Harry Potter and the Cursed Child, an album of music from the internationally acclaimed stage production, will be released in November. 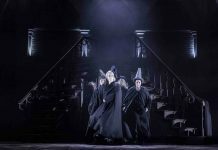 Harry Potter And The Cursed Child set to clean up at Olivier Awards! 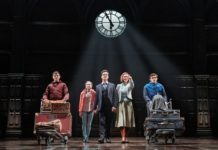 Harry Potter And The Cursed Child has been nominated for a total of 11 Olivier Awards. Meet the new cast of Harry Potter and The Cursed Child! 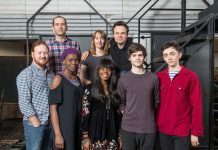 Rehearsals have began for the new West End cast of Harry Potter and The Cursed Child. 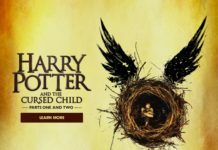 Harry Potter and the Cursed Child to release 60,000 extra tickets! 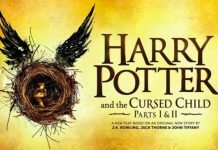 Harry Potter and the Cursed Child have today announced that a further 60,000 tickets will be released for sale. Will there be a soundtrack album for Harry Potter and The Cursed Child play? Harry Potter and The Cursed Child play haven't yet released a soundtrack album - But it's in the pipeline.